NPR News Nuggets: 902-5-OH, Paging Bob Dylan & Jedi Battles Here's a quick roundup of some of the mini-moments you may have missed on this week's Morning Edition. Star Wars has devoted fans who dress up like their favorite characters, but now Lucasfilm, the film's parent company, is saying the New York Jedi and Lightsaber Academy went too far. Lucasfilm filed a lawsuit in which it noted that the academy's logos were too similar to the logos used in the film. 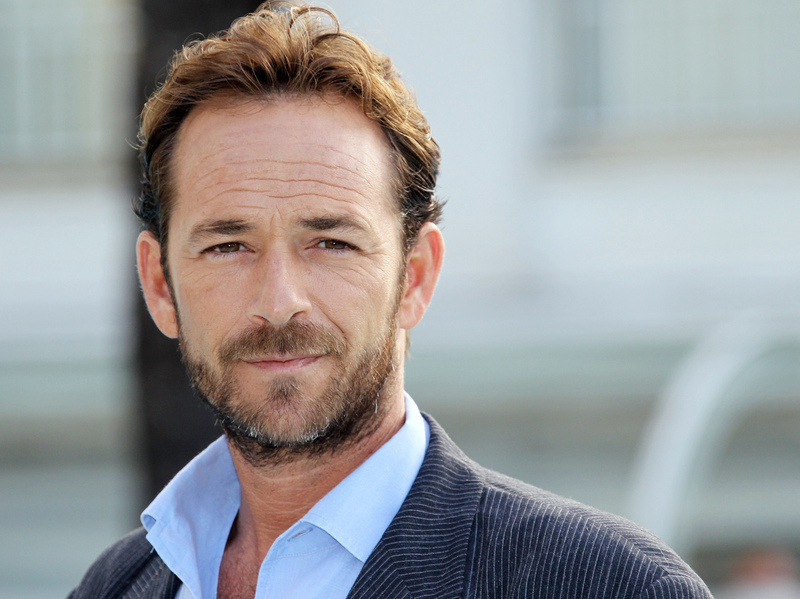 Actor Luke Perry, known for his role as Dylan McKay on Beverly Hills, 90210, celebrated his 50th birthday on Oct. 11. AARP helped him celebrate by putting him on its latest magazine cover. Raise your hand if you've ever wanted to be a student at West Beverly Hills High. Now raise your hand if you've wished you could hang with the 90210 crew, especially the ever-brooding bad boy, Dylan McKay. All hands in the air? To be expected. Well, as Morning Edition's Renee Montagne told us Monday, actor Luke Perry, who played McKay, celebrated his 50th birthday on Oct. 11. To celebrate and make everyone feel a bit older, AARP put Perry on the cover of its latest issue with birthday wishes reading "Welcome to the 902-5-OH." Definitely not Teen Bop or Bravo, but hey, if Nobel laureate Bob Dylan adorned the cover last year, then to Luke Perry's Dylan, this might be a cool place to be. Now Luke, I just have one question for you. Are you having fun yet? No meat, no criminal charges. That's what Russian police officers told a husband who called them when he realized his wife was trying to raise their children as vegetarians. Skeptical? See it for yourself in The Moscow Times with a headline reading "Russian man calls the cops when wife tries to raise kids as vegetarians." Morning Edition host David Greene told us Monday that a police spokesperson in Vladivostok said the husband told cops that forgoing meat would have a negative impact on the kids' growth and development. Well, the police decided to forgo the charges, all the while probably thinking "You're kale-ing me, dude." It's been a over a week since the Swedish Academy announced Bob Dylan as the winner of the Nobel Prize in literature. Along with the award, Dylan, and the other laureates, are invited to attend a December ceremony in their honor. But as Morning Edition host Renee Montagne told us on Tuesday, there's only one problem: Dylan has yet to respond to the academy's invitation. In fact, he hasn't even publicly acknowledged the award. In typical Dylan fashion, though, he closed out his concert on the day of the announcement with a Frank Sinatra cover, Why Try to Change Me Now. Having been awarded the Nobel Prize in Literature, Bob Dylan joins the ranks of T.S. Eliot, Toni Morrison and others. Dylan is the first musician to win the award. 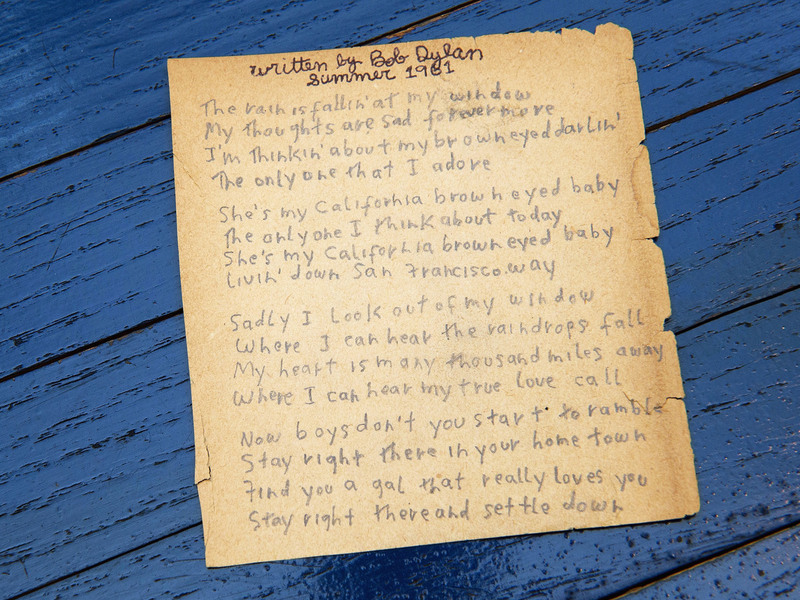 Above are Dylan's originally handwritten lyrics for California Brown Eyed Baby. 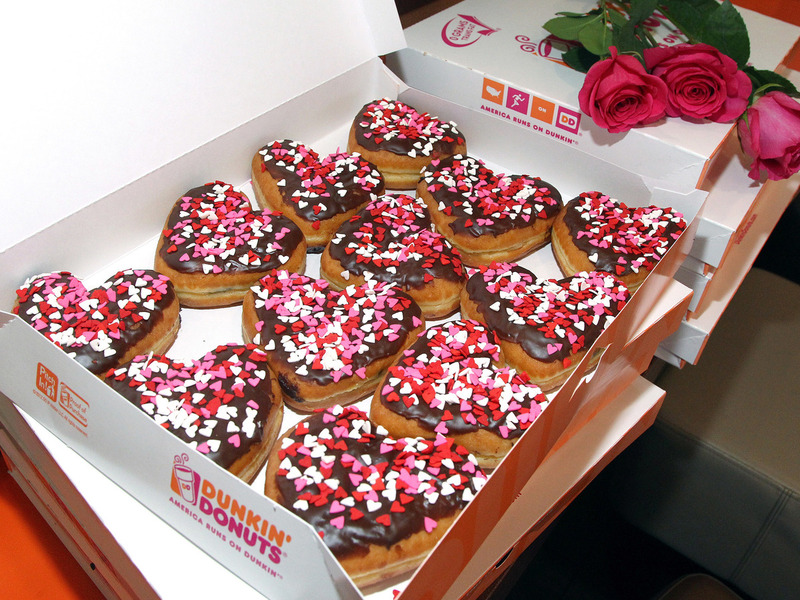 Police officers in Trenton, N.J., won't have to wait until Valentine's Day to feel the love from Dunkin' Donuts. The company is buying the building where the local paper The Trentonian is headquartered. The number of people reading print newspapers has decreased, but the same cannot be said for the number of people who enjoy a sugar-coated doughnut. As Morning Edition host Steve Inskeep told us on Wednesday, that is especially true in Trenton, N.J. The local paper, The Trentonian, covers all news, including its own. The paper says its headquarters are being sold to make way for a Dunkin' Donuts factory that will make product for area stores. In an act of divine intervention, the new doughnut facility will have some loyal customers — the headquarters of the Trenton Police Department. Who runs on Dunkin' again? ...There is unrest with one company. Update: That galaxy is the Milky Way, and the unrest is on Earth. Star Wars fans are known as devoted and loyal, but that loyalty has gone too far, according to Lucasfilm — the company that owns the franchise. 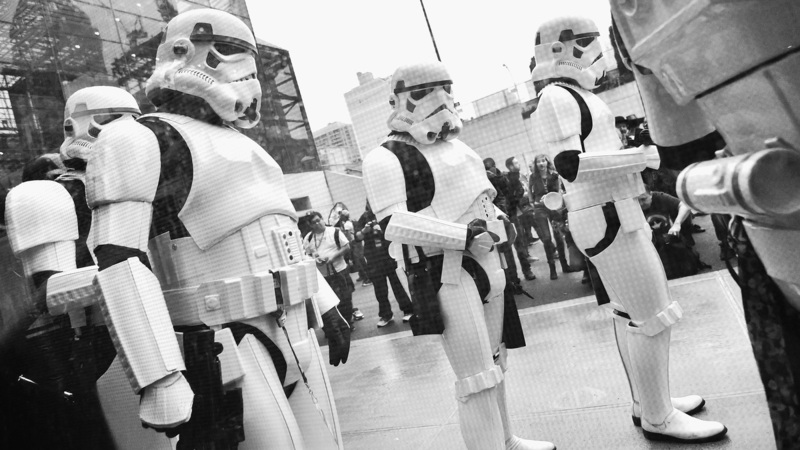 Instead of sending in the Stormtroopers it took a more traditional approach and filed a lawsuit against the New York Jedi and Lightsaber Academy. The academy is every cosplayer's greatest dream by offering classes on how to engage in Jedi battles. As Morning Edition host David Greene told us Thursday, the academy also sells swag that, according to the lawsuit, is just a wee bit too close to the logos from the actual films. So now it's up to the court to decide, but remember Master Yoda's wise words — "Do or do not, there is no try."